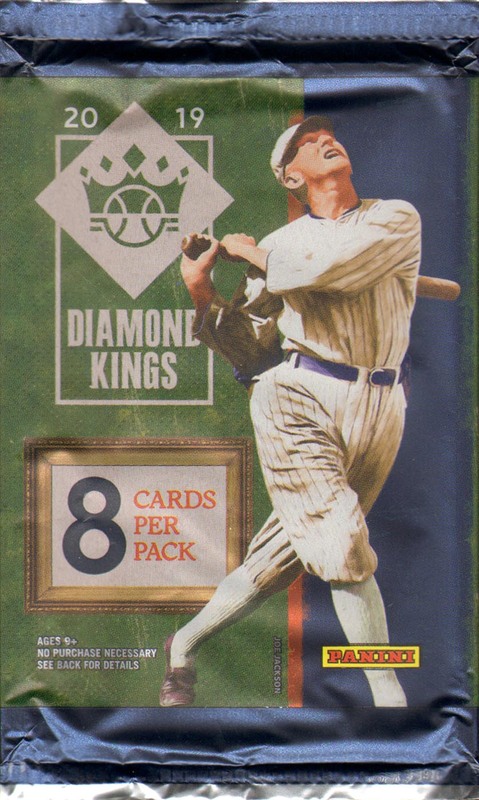 Stopped by one of my LCS's, Bosco's, here in Anchorage to check out the Geek Swap Meet and I also picked up a couple packs of 2019 Diamond Kings. 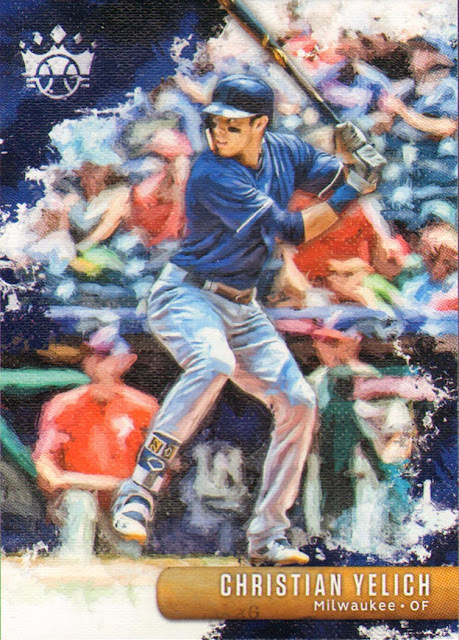 Nothing crazy out of either pack, but I'll feature the best one out of the two and as a bonus I'll show off the insert from the second pack so you can get a look at that. Here are the odds on the pack. 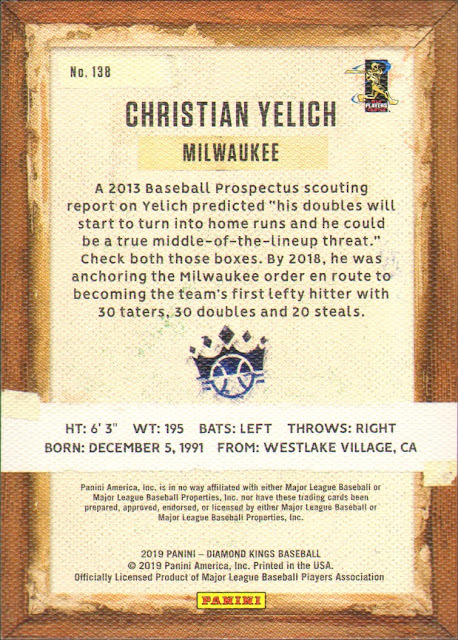 First up is my lone Brewer card, one of three featured in the 150 card set, and it's Christian Yelich's SP card. As a matter of fact two of the three Brewers cards in the set are SPs. 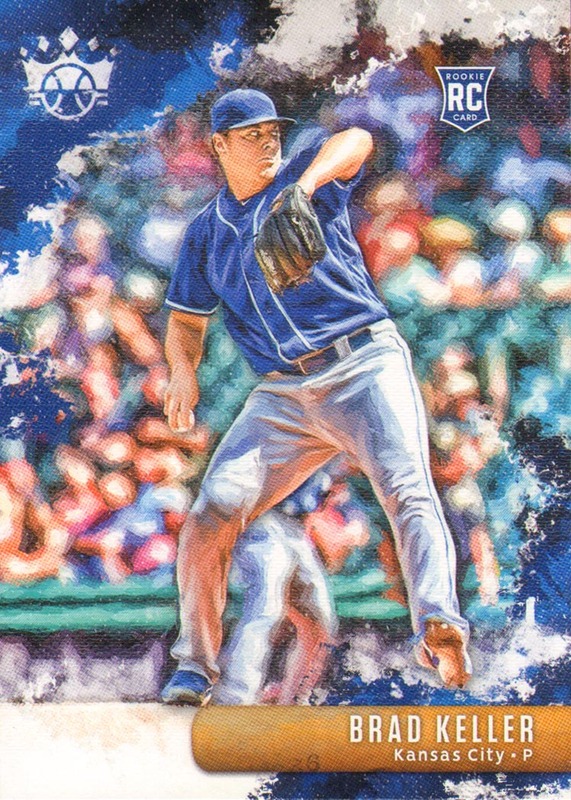 Overall I think the cards are beautiful. 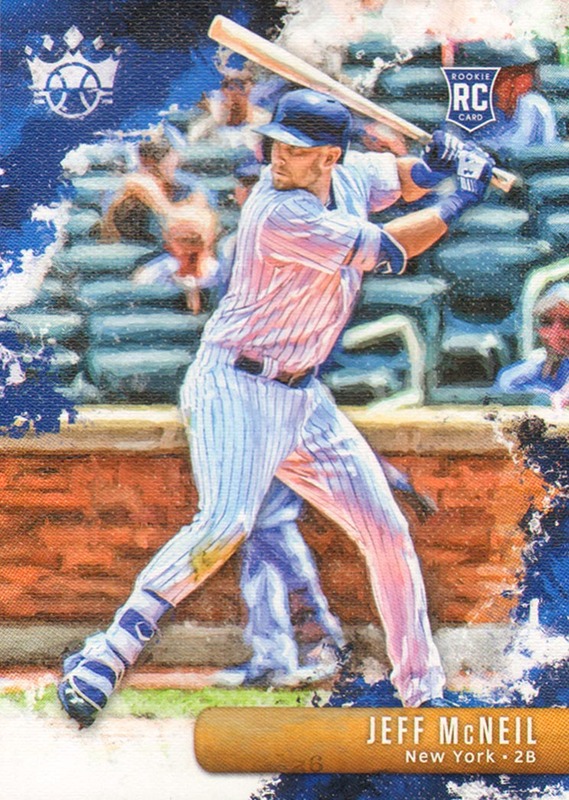 This set probably suffers the least from the lack of logos and the card are well designed and have a canvasy feel to them. Let's check out the rest of the pack. I do love that this set features not just current players, but also lots of HOFers, and lots of prewar guys to boot. Panini hasn't done a Cooperstown themed set in a few years. Maybe it's time they give it a go again. I just realize that this pack actually had 3 rookies in it. Not too shabby. 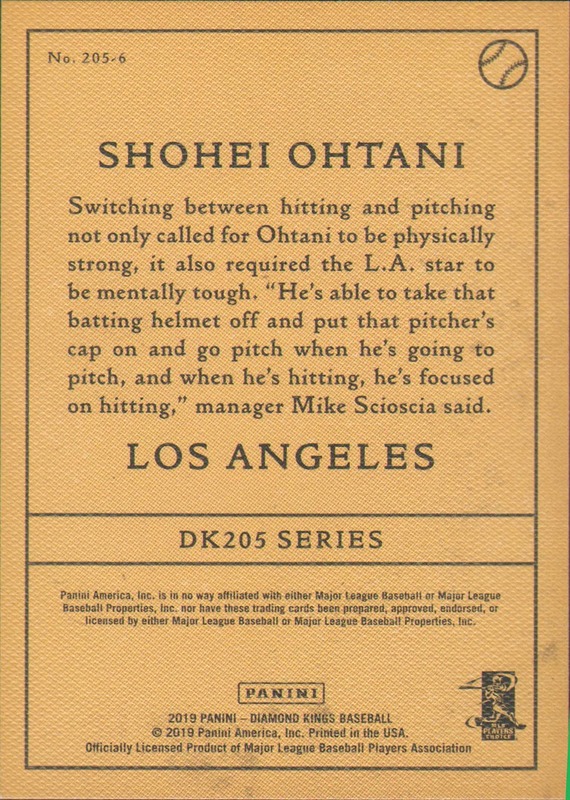 My pack hit was this Shohei Ohtani DK205 insert. A nice looking homage to the 205 set. 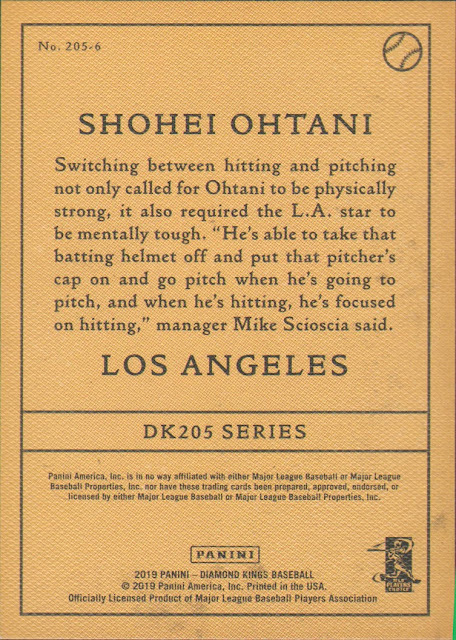 As a matter of fact the set features lots of vintagey inserts. 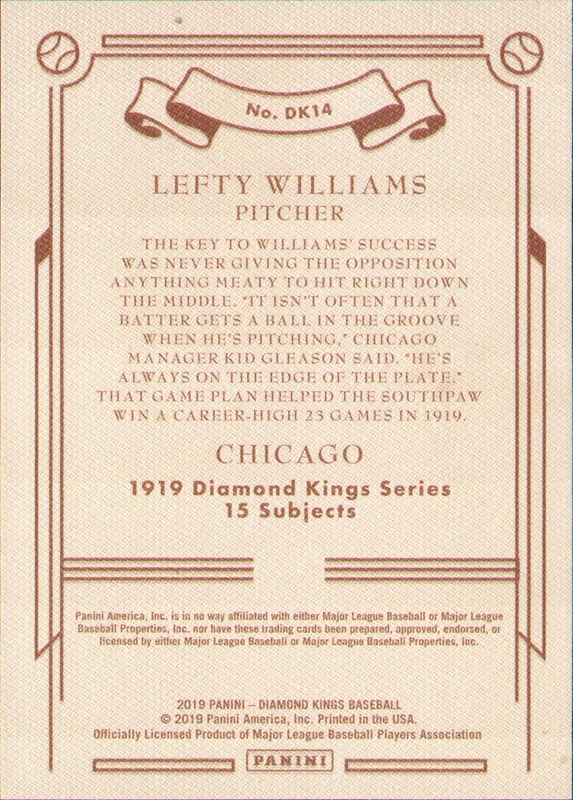 My other pack hit was this Lefty Williams 1919 Diamond Kings insert, which answers the questions what would Diamond Kings looked like 100 years ago and who would they have featured. I like it. There are also lots of other retro sets from Donruss past sprinkled through the product. 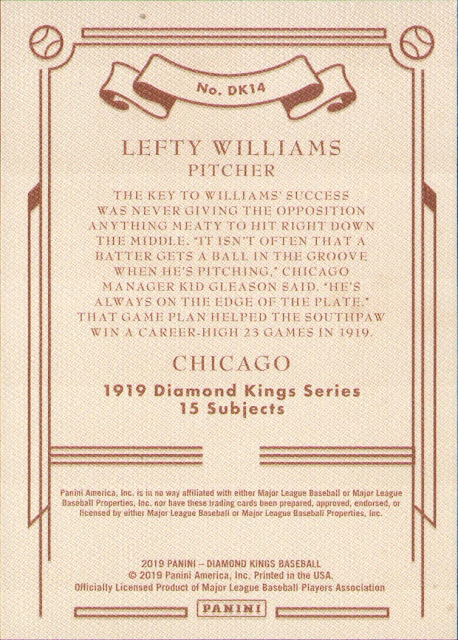 I never heard of Lefty Williams before, but I think that is part of the reason I like this product so much. 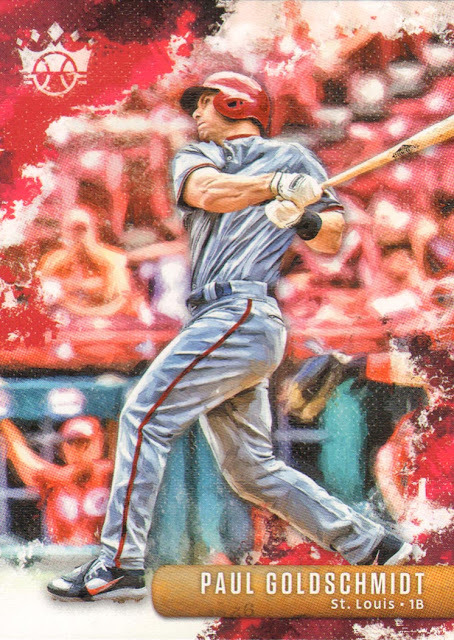 I would also be on board for another Panini Cooperstown set. As much of a logo-snob I claim to be... I gotta admit I think this product looks pretty good. I think a lot of it has to do with cropping. 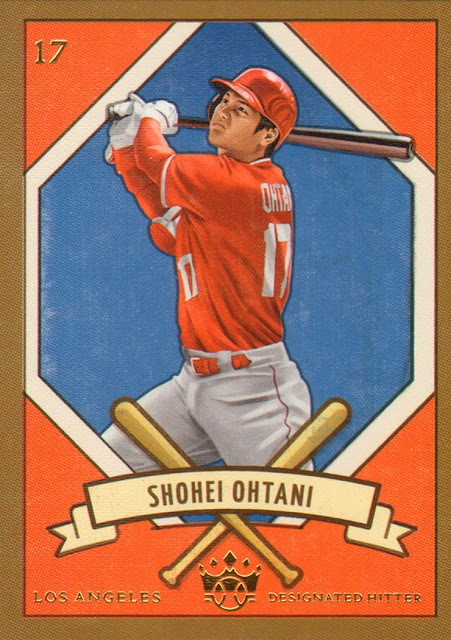 Sure some of the bat tips are cropped off... but at least the players are completely intact. Good looking cards. I'm not a fan of the DK205 but overall good stuff. This is my first look at these. I'll pick up a pack when I have an opportunity. I've always liked the art/canvas look and feel. Thanks for the review. 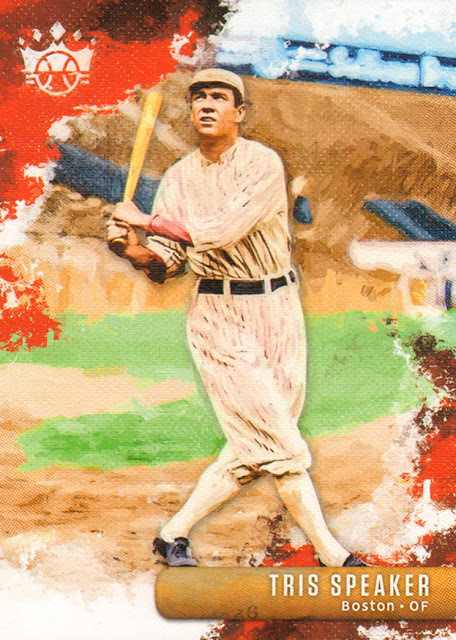 And there was a Tris Speaker appearance! 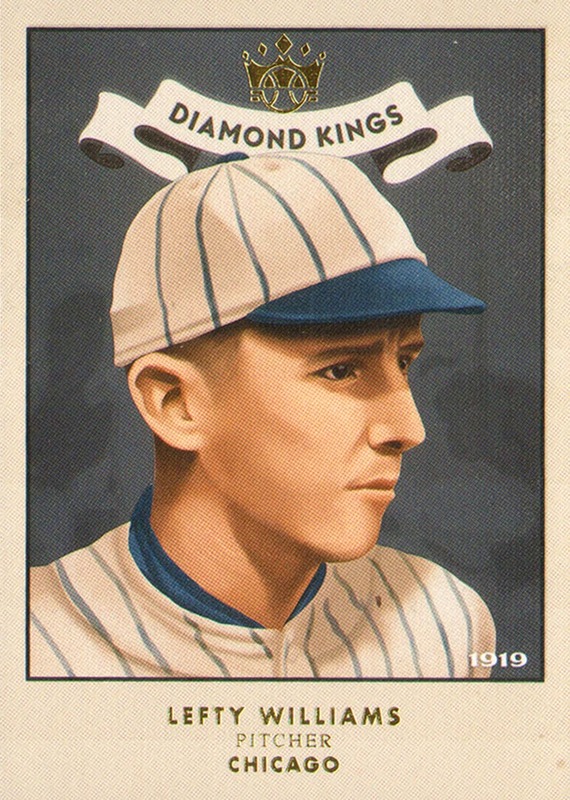 Base set looks as good as ever, and I love the 1919 set, both in concept and in execution. 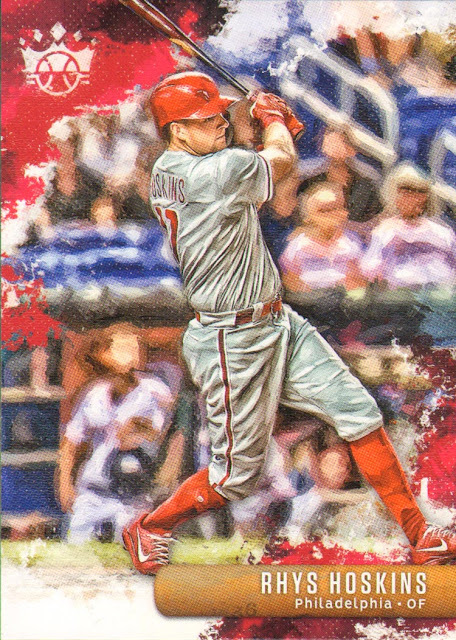 Nice work on that, Panini. 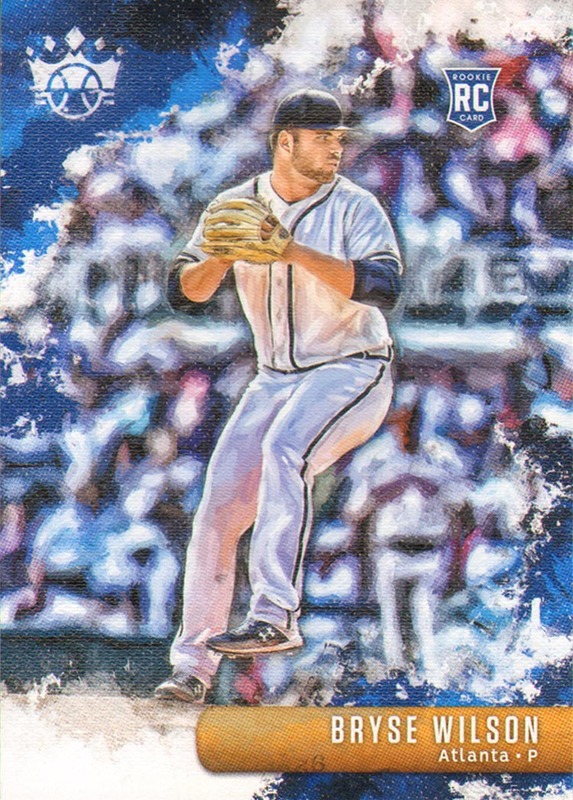 Good stuff here!Loving that McNeil.Card design Is great too.